The two-tone finish on this cocktail table highlights its modern farmhouse design. This piece features cup drawer pulls, adding a touch of antique style to the table. Other details, such as the planked top and picture frame apron, create a warm cottage look perfect for a family or living room. The Cayla Farmhouse Cocktail Table with Two-Tone Finish by Steve Silver at Furniture Fair - North Carolina in the Jacksonville, Greenville, Goldsboro, New Bern, Rocky Mount, Wilmington NC area. Product availability may vary. Contact us for the most current availability on this product. Wood & Finish Antiqued White finish with wire-brushed dark oak accent finish. 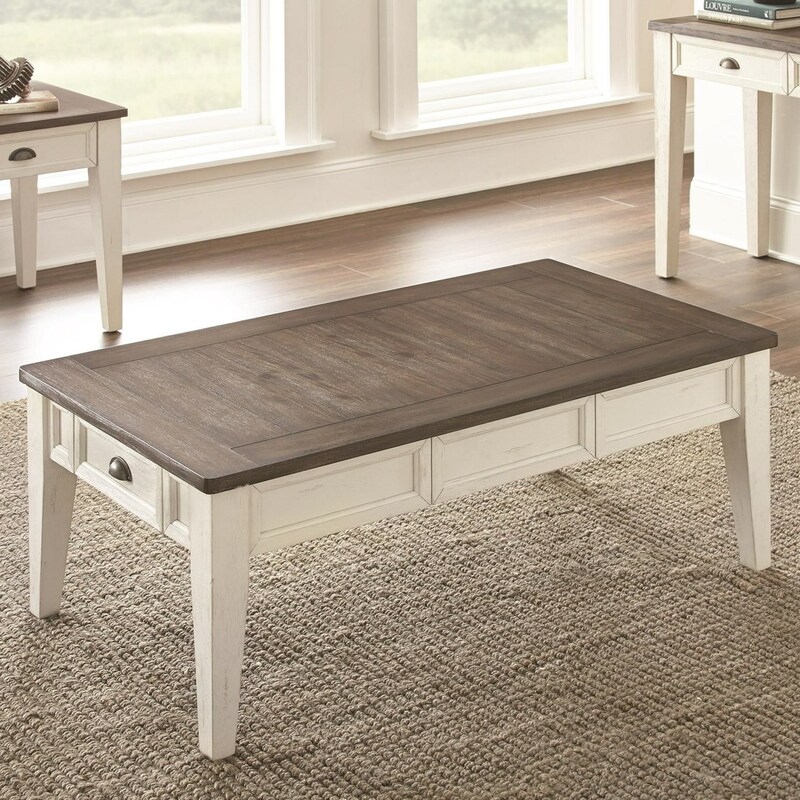 The Cayla collection is a great option if you are looking for Relaxed Vintage Casual Cottage furniture in the Jacksonville, Greenville, Goldsboro, New Bern, Rocky Mount, Wilmington NC area. Browse other items in the Cayla collection from Furniture Fair - North Carolina in the Jacksonville, Greenville, Goldsboro, New Bern, Rocky Mount, Wilmington NC area.